In the charming harbour of Porto Rafael you will find the Yacht Club Punta Sardegna. Once a year in August together with the Yacht Club Costa Smeralda they organise the famous Formenton regatta.The Yacht Club de Porto Rafael rents out dinghys (rubber boats) of different sizes. Sailing boats can be chartered at the harbour of Palau. The clear waters of the bay are considered a paradise for amateur sailors. A 15 minute drive from the house you will find Porto Pollo–Isola dei Gabbiani, the Sardinian “surf and kite paradise”, 7 km of beaches in two large bays. There is allways enough wind and windsurfers and kitesurfers meet to challenge eachother at impressive speed. There are sailing schools, schools for windsurfing and kitesurfing, equipment can be hired on the spot. 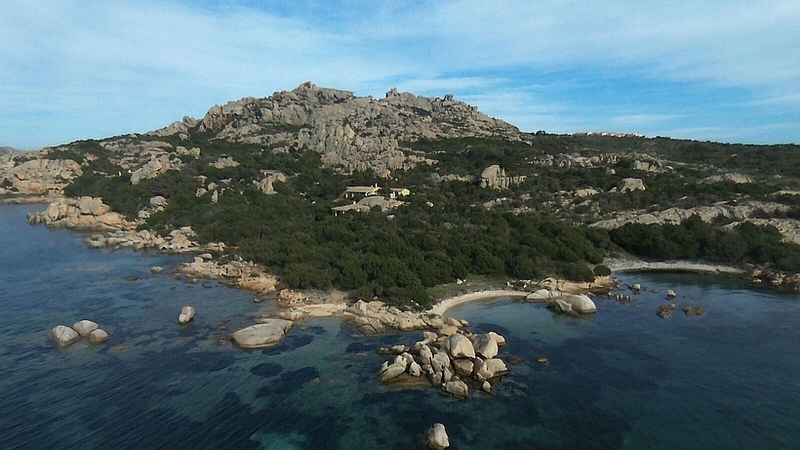 Furthermore, this part of the Sardinian coast offers possibilities for scuba diving, snorkeling, open-ocean-kayak, tennis, mountain biking and beach volley. Scuba diving schools will give lessons at all levels and organise fascinating excursions. Mountain bikers will find several routes along the coast and inland. Bikes can be rented in Palau. The opportunities for walks or proper hikes are rich and varied in this part of Sardinia.